Brand identity design is concerned with the visual aspects of a company or organization’s brand or identity. A brand identity design is the visual element that represents how a company wants to be seen; it is the company’s visual identity, and is how a company illustrates its ‘image.’ A company’s brand identity can be represented in terms of design through a unique logo, or signage, and is then often integrated throughout all the elements of a company’s materials such as business cards, stationery, packaging, media advertising, promotions, and more. Brand identity may include logo design. Brand identity development is usually a collaborative effort between creative directors, art directors, copywriters, account managers and the client. A broadcast designer is a person involved with creating graphic designs and electronic media incorporated in television productions that are used by character generator (CG) operators. A broadcast designer may have a degree in digital media (or a similar degree), or is self-taught in the software needed to create such content. The job of a logo designer is to provide a new and innovative way to express the key points of a company through an image. Logo designers take the information given to them by the client and work, using their own creativity along with marketing strategy to find an appropriate image that their client can use to represent what they are trying to encourage, sell, or what they are. 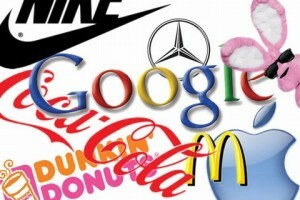 It is not likely that a company will specialize in logo design or have a position for a designated logo designer. Art directors and graphic designers usually perform logo designs. Illustrators conceptualize and create illustrations that represent an idea or a story through two-dimensional or three-dimensional images. Illustrators may do drawings for printed materials such as books, magazines, and other publications, or for commercial products such as textiles, packaging, wrapping paper, greeting cards, calendars, stationery, and more. Illustrators use many different media, from pencil and paint to digital formatting, to prepare and create their illustrations. An illustrator consults with clients in order to determine what illustrations will best meet the story they are trying to tell, or what message they are trying to communicate. Illustrating may be a secondary skill requirement of graphic design or a specialty skill of a freelance artist, usually known for a unique style of illustrating. Illustration may be published separately as in fine art. However, illustrations are usually inserted into page layouts for communication design in the context of graphic design professions. Similar to illustration are other methods of developing images such as photography, 3D modeling, and image editing. Creative professionals in these positions are not usually called illustrators, but are utilized the same way. Photographers are likely to freelance. 3D modelers are likely to be employed for long-term projects. Image editing is usually a secondary skill to either of the above, but may also be a specialty to aid web development, software development, or multimedia development in a job title known as multimedia specialist. Although these skills may require technical knowledge, graphic design skills may be applied as well. Multimedia developers may come from a graphic design or illustration background and apply those talents to motion, sound, or interactivity. Motion designers are graphic designers for motion. Animators are illustrators for motion. Videographers are photographers for motion. Multimedia developers may also image edit, sound edit, program, or compose multimedia just as multimedia specialists. Content developer is a generic term used for describing illustrators, visual image developers, and multimedia developers in software and web development. The term has a broader scope that includes non-graphical content as well. A generic name for content that is used in a digital composition are digital assets. Visual Journalists, also known as Infographic Artists create information graphics or Infographics; visual representations of information, data or knowledge. These graphics are used anywhere where information needs to be explained quickly or simply, such as in signs, maps, journalism, technical writing, and education. They are also used extensively as tools by computer scientists, mathematicians, and statisticians to ease the process of developing and communicating conceptual information. They are applied in all aspects of scientific visualization. A layout artist deals with the structure and layout of images and text in a pleasing format. This can include magazine work, brochures, flyers, books, CD booklets, posters, and similar formats. For magazines and similar productions, color, typeface, text formatting, graphic layout and more must be considered. Is the chosen typeface good for long term reading, or will the eyes get tired? Does that title typeface fit the feel of the rest of the article? Are the photos arranged in such a way that is pleasing to the eye, and directs the reader in the right flow or direction? These are just some of the questions that layout artists must ask themselves. Page layouts are usually done by art directors, graphic designers, production artists or a combination of those positions. Interface designers are graphical user interface (GUI) layout artists. They are employed by multimedia, software, and web development companies. Because graphical control elements are interactive, interface design often overlaps interaction design. Because interfaces are not usually composed as single computer files, interface design may require technical understanding, including graphical integration with code. Because interfaces may require hundreds of assets, knowledge of how to automate graphic production may be required. An interface designer may hold the job title of web designer in a web development company. A web designer's work could be viewed by thousands of people every day. Web designers create the pages, layout, and graphics for web pages, and play a key role in the development of a website. Web designers have the task of creating the look and feel of a website by choosing the style, and by designing attractive graphics, images, and other visual elements, and adapting them for the website’s pages. Web designers also design and develop the navigation tools of a site. Web designers may make decisions regarding what content is included on a web page, where things are placed, and how the aesthetic and continuity is maintained from one screen to the next. All of this involves skill and training in computer graphics, graphic design, and in the latest in computer and web technology. Depending on the scope of the project, web design may involve collaboration between software engineers and graphic designers. The graphic design of a website may be as simple as a page layout sketch or handling just the graphics in an HTML editor, while the advance coding is done separately by programmers. In other cases, graphic designers may be challenged to become both graphic designer and programmer in the process of web design in positions often known as web masters. A package designer or packaging technician may utilize technical skills aside from graphic design. Knowledge of cuts, crease, folding, nature and behavior of the packaging material such as paper, corrugated sheet, synthetic or other type of materials may also be required. A customer may see the top/outside of a package at first, but may also be drawn to other package design features. A packaging design may require 3D layout skills in addition to visual communication to consider how well a design works at multiple angles. CAD software applications specifically for packaging design may be utilized. An animator produces multiple images called frames, which when sequenced together create an illusion of movement known as animation. The images can be made up of digital or hand-drawn pictures, models or puppets. Animators tend to work in 2D animation, 3D model-making animation, stop frame or computer-generated animation. Computer-generated animation features strongly in motion pictures (to create special effects or an animated film in its own right), as well as in aspects of television, the internet and the computer games industry. The basic skill of animation still relies heavily on artistic ability, but there is an increasing need for animators to be familiar with technical computer packages. A printmaker uses techniques such as woodcuts or silk-screens to create images which are transposed onto surfaces, generally using a printing press. In this role you will design the prints yourself. Printmakers are increasingly using electronic or digital printing processes alongside more traditional craft-based methods. This has increased collaborative working with computer artists. Production designers are responsible for the visual concept of a film, television or theatre production. They identify a design style for sets, locations, graphics, props, lighting, camera angles and costumes, while working closely with the director and producer. Once the concept is decided, designers usually appoint and manage an art department, which includes a design and construction team. They often form a strong partnership with a particular director, who they may work with on many productions. A Creative Director's range of experience can be broad and encompass a number of disciplines; visual design; copywriting, art direction, advertising account director, film/video director. A Creative Directors job is to initiate the creative concept of a project and drive the direction of the project. The role of a Creative Director is to formulate creative concepts, whether it is an advertising campaign, brand identity, TV commercial, marketing campaign. A Creative Director was often referred to the 'Ideas Guy' and works with a team of 'creatives' - art director, graphic designer, copywriter, film director to produce the concept and final production. Art directors make sure that illustrators and production artists produce and complete their work on time and to the creative director or client's satisfaction. Art directors also play a major role in the development of a project by making decisions on the visual elements of the project, and by giving the final say on the selection of models, art, props, colors, and other elements. Art directors need advanced training in graphic design as they often do artwork and designing themselves. However, an art director's time may be consumed doing supervisory and administrative work. Art production managers or traffic managers oversee the production aspect of art to improve efficiency and cost effectiveness. Art production managers supervise artists or advise the supervisors of artists. Creative directors and art directors often assume the role of art production managers, especially when production cost is not a critical enough concern to designate a manager for the specific role.